You are not alone if you delay or flat-out boycott going to the dentist. Many people have had a nightmare dental experience leaving them with serious anxiety. If you can relate, sedation dentistry may be an option for you. 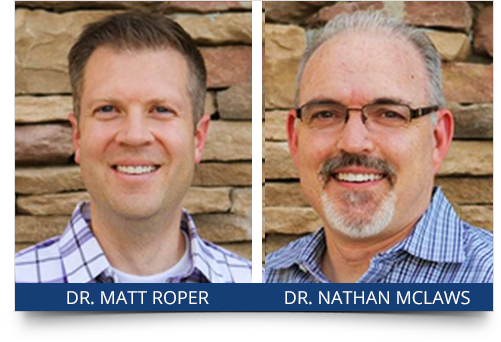 All three of our dentists are members of the Dental Organization for Conscious Sedation and we are certified with the state. 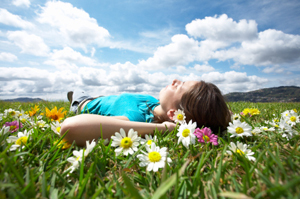 We are here to help you relax if you decide sedation dentistry is right for you. Sedation dentistry is conscious sedation through the administration of a pill to create a relaxed, sleep-like state. It is different from general anesthesia which is used in a hospital setting that leaves a patient completely unconscious. Since you are still conscious, all of your normal reflexes are still functioning. This is why dentists can dispense sedation dentistry techniques safely in an office environment. It is often used for procedures that are perceived as painful or stressful, like a root canal or the extraction of wisdom teeth. Whether you get a little nervous or have serious dental fear, we are here to listen to your concerns. We understand your anxiety and have helped many other fearful patients with sedation dentistry techniques. If you struggle with mild dental anxiety, nitrous oxide could be the right option for you. This sedative gas is used during dental treatment to relieve a patient’s stress. A mask is placed over your nose and you breathe in the gas. Your dentist will administer low levels of gas and slowly increase the dose. You are still coherent and can communicate with your dentist to achieve the desired effect. Nitrous oxide is a sedation dentistry technique used to calm dental anxiety. Nitrous oxide also is a great solution for those patients that have difficulty getting numb. Once you feel the effect of the gas and begin to relax, the anesthetic often works properly to numb the designated area. Another great advantage of nitrous oxide is that as soon as the gas is stopped, the effects wear off almost immediately. Within two minutes you will be able to walk out the door and drive home from your appointment. For patients that deal with significant anxiety and fear, an oral sedative can be given to ease stress levels. We have had much success using the oral medication Triazolam to achieve conscious sedation. After taking the pill, you will feel sleepy and enter into a restful state. The best part is that you will have little to no memory of the dental procedure. We have found that patients that elect to take advantage of oral sedation are pleased with their pain-free and overall pleasant experience. Make sure to arrange a driver to and from your dental appointment since it will be unsafe for you drive home. If you are interested in learning more about sedation dentistry and if it is right for you, call us today.